113 Suspended for Varnishing. 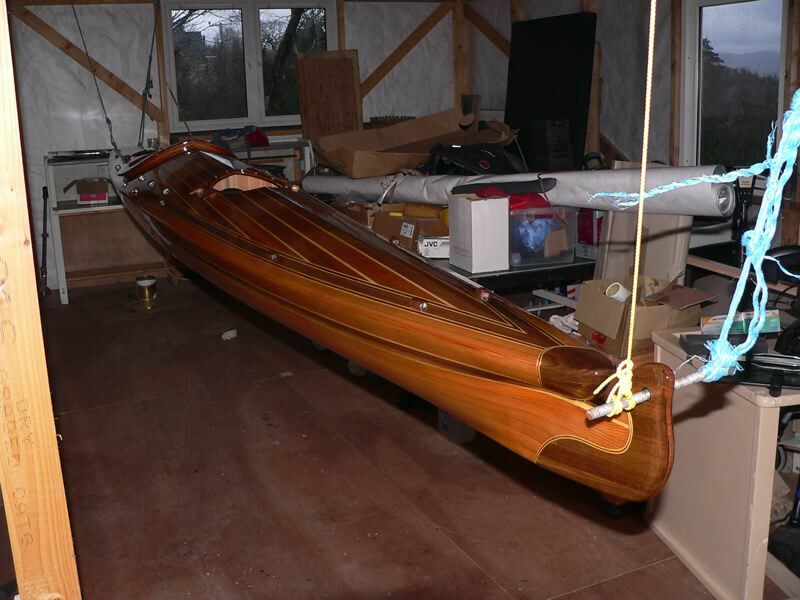 I varnish hull and deck in one go. I am not the worlds most accomplished varnisher. I roll the varnish on with a west foam roller, tip off with a good brush, three coats, and call it quits.